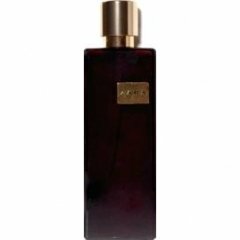 Nuit is a perfume by Zara for women and was released in 2013. The scent is sweet-powdery. It is still in production. A few days ago I saw on the shelves of the Zara store of my town this fragrance and I was immediately attracted by the elegant fumé bottle reminding me something classy and mysterious at the same time. so, curious, I sprayed the scent: what a surprise! It wasn't a deep or strong or heavy Night scent, but a soft and powdery cloud very feminine and discrete, although anyway warm and involving for its vanilla base. I smelled a fruity touch (now I'm seeing in the pyramid that it's the apricot) and a very soft lily of the valley, not too vibrant (I usually don't like this note, when it's too intoxicating)but gentle and perfectly balanced and , finally, a heliotrope heart and a sweet base, noticeable and warm, but not sweetish . A very nice bouquet which could be worn by day too maybe in the colder season. The sillage isn't so strong (but mind that it's an eau de toilette) but the longevity is average. Last but not least, the price: as usual, all the perfumes of this brand are very affordable and I paid about 10euros for a 100ml size. You can find the product online too on the site. So, the Zara night is very feminine and soft, are you ready to live it?